The Community Table Initiative started as a joint venture between Federated Charities, The Housing Authority of the City of Frederick (HACF) and The Common Market Co-Op. In its 3rd year, the initiative is designed for families being served by local community service agencies. Activities of the project promote the following pro-health activities: whole food cooking; the use of local, seasonal produce for families and individuals who may be eligible for SNAP benefits; increased use of the farmers’ market system in the Frederick community, and; participation in communal food events as a means of establishing stronger community ties. Financial support is provided by Rotary Club of Carroll Creek, Women's Giving Circle and, in 2019 by The Unity Campaign. Vegetable partners are Hungry Harvest/Produce in a SNAP and Pleasant Hill Produce. Our cookook partner is Curious Iguana. Monthly cooking sessions use seasonal produce and whole foods available locally and economically. In 2018, participants will receive weekly, free Community Supported Agriculture (CSA) shares of fresh produce. 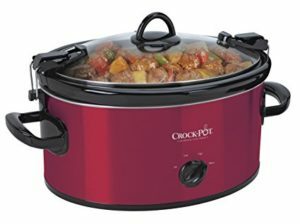 Families who complete 4 sessions also receive a free crockpot, a cookbook, a YMCA 30-day membership and other incentives. In 2017, the project served 19 participants and distributed more than 240 pounds of fresh produce and 43 dozen eggs. In 2018 we have helped distribute more than 800 pounds of fresh produce. Copyright © 2019 · Federated Charities · Website by Jessie Mary & Co.